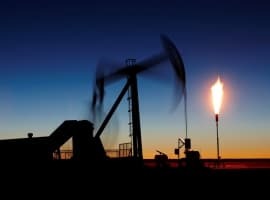 There are a number of different factors that affect financial markets however many analysts believe there is a direct relationship between the price of oil and the stock market. In many cases, economic indicators have a positive linear affect on the markets. Higher than expected earnings from a bank will oftentimes send bank stocks higher, trouble at one software company can easily affect the stock price of another. Oil prices are believed to have a negative correlation to the financial markets, which means that as oil prices go down, stock prices go up. However, as the price of oil changes dramatically, so can the relationship of its price to various markets. There is no right or wrong answer when it comes to how oil prices affect financial markets, although almost all analysts will agree that the price of oil does have a direct impact on almost all sectors of the market worldwide. The price of oil can be positively correlated to financial markets as can be seen during the time period from early 2003 to late 2006. As the price of oil continued to rise, so did the S&P 500. When looking at this time period it is easy to make a correlation where there might not be one. From 2003 to 2006 it was the success of businesses across a number of key industries that caused the market to rise, and as this happened, the price of oil rose as well, however it is unlikely that the two were correlated. Currently most financial analysts believe that oil does not have a positive correlation to the financial markets but instead that financial markets can do well while the price of oil is rising. The majority of commodity analysts believe that the price of oil has a negative correlation to the markets. Negative correlation is the most popularly accepted relationship between oil prices and the financial markets. When oil prices rise many companies will have to spend more money to run their business. This is because most companies ship products, and be it by land, air, or sea, oil is a prime factor in the cost of shipping. This higher cost gets included in the price of the product a company makes yielding a higher price to the consumer. Consumers feel the affect of high oil prices as they have a knock on effect on gasoline prices, which obviously increase and more often than not leads to a decrease in consumer spending. Which makes logical sense, as if it costs 20% more to drive to work than it did last month, you would most likely reduce your budget elsewhere by 20%. One of the most interesting relationships between oil and the financial markets is the role oil plays in the currency market. In 2008 as the U.S. dollar dropped against most major currencies worldwide, the price of oil increased. The reason for this causal relationship is due to the fact that a weaker dollar makes each barrel of oil more expensive. Oil prices have a big affect on inflation in the United States and abroad. As oil prices increase as does the price of gasoline which in turn creates additional fuel surcharges. These surcharges are what increases core inflation as central banks will continue to keep interest rates high under these conditions.